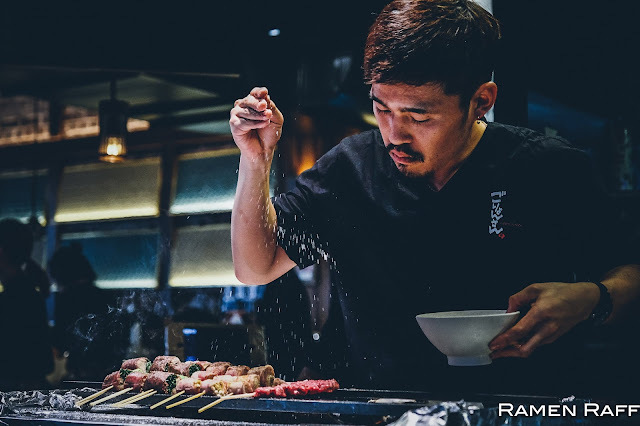 The contemporary yakitori that we come across out here in Australia and other parts of the world is in actual fact Kushiyaki. 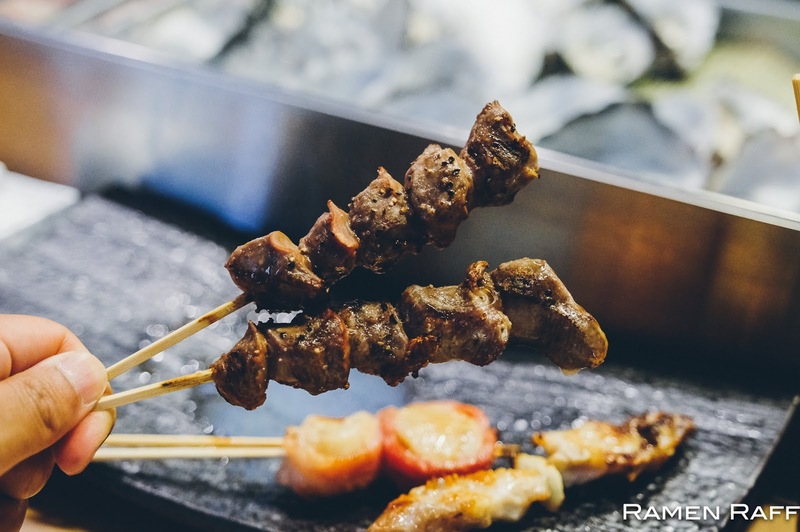 Whilst the menu in a yakitori restaurant mainly consists of chicken based grilled skewers, kushiyaki restaurants covers all bases. The new Goryon San in Surry Hills is a Hakata-style Kushiyaki restaurant that offers a great range of grilled delights. 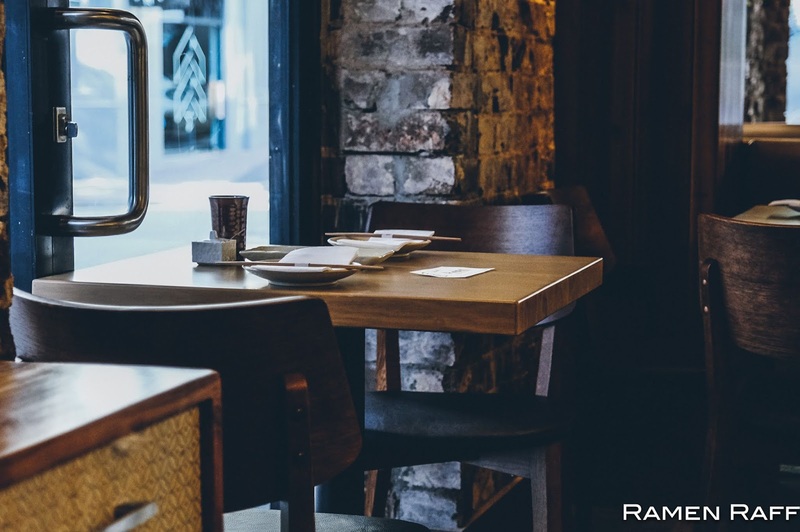 They have 3 shops in Tokyo: Nishiazabu, Shibuya Miyamasuzaka and Shibuya Nanpeida. 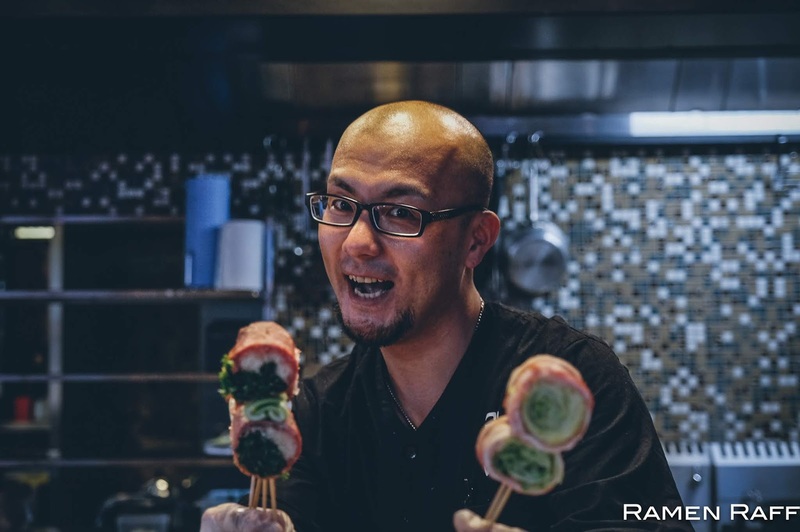 My friend Akihito Marui (ex Torikizoku Osaka, Yakitori Jin) is the head chef at the Surry Hills shop. 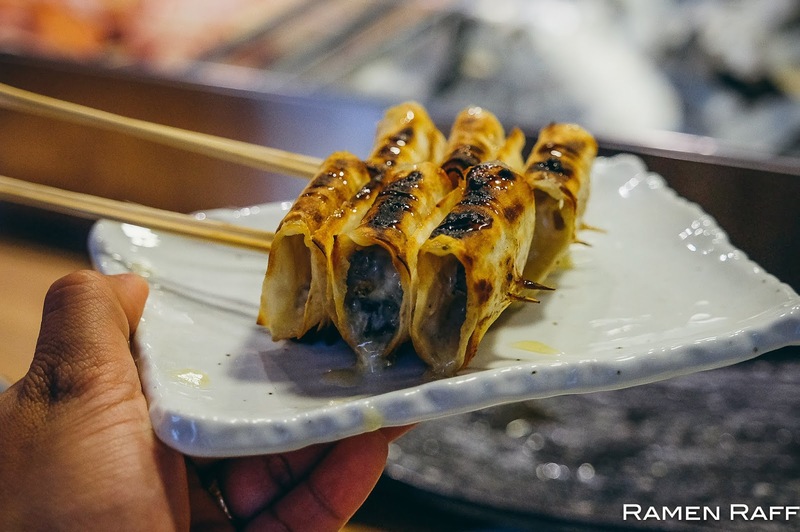 Hakata-style kushiyaki specialises in rolled up meat skewers that are filled with either vegetables, seafood and even cheese seasoned with tare (sauce marinade) or shio (salt). 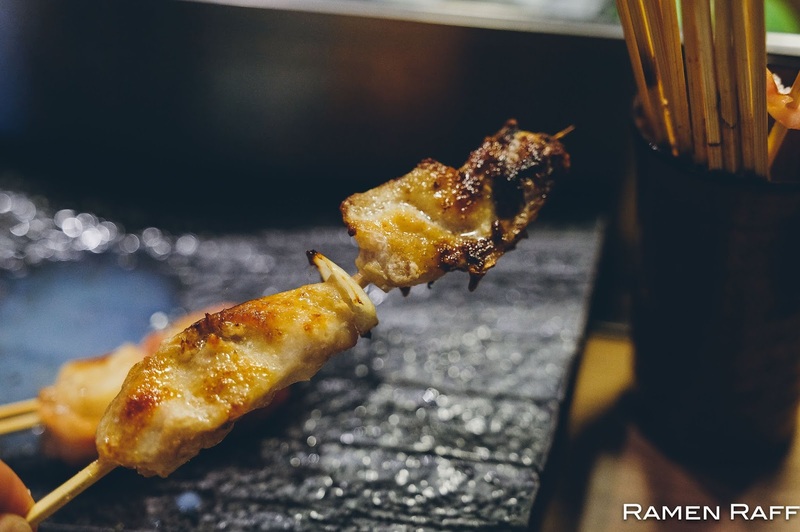 But since it’s Hakata in origin, expect a lot of pork in the menu. There’s a decent range of sake, shochu and wine too. 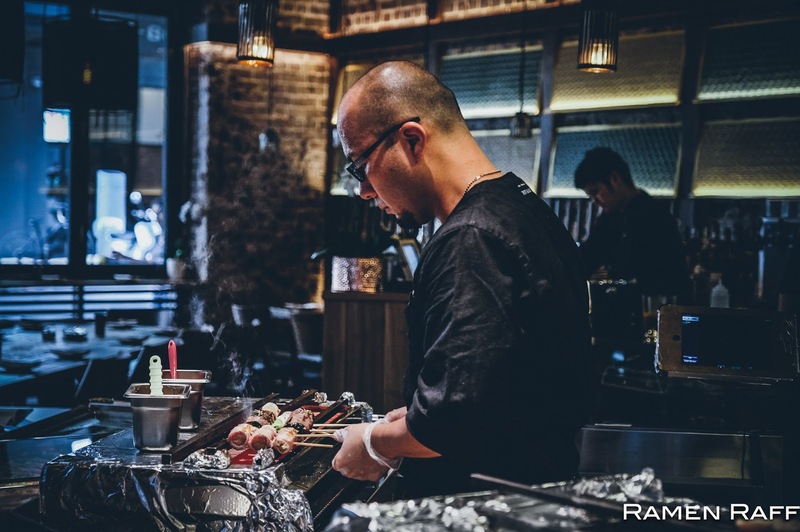 The Surry Hills shop has counter seatings that lets you enjoy the grilling action (watch out for Chef Yuto Moriue aka the “Japanese Salt Bae”) as well as seatings for 2 people and big groups. 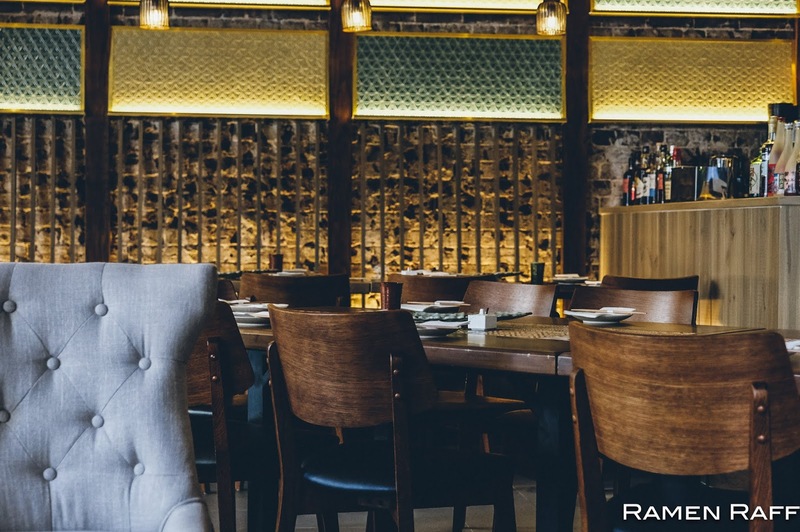 The space is well lit with modern Japanese fittings and furnishings. 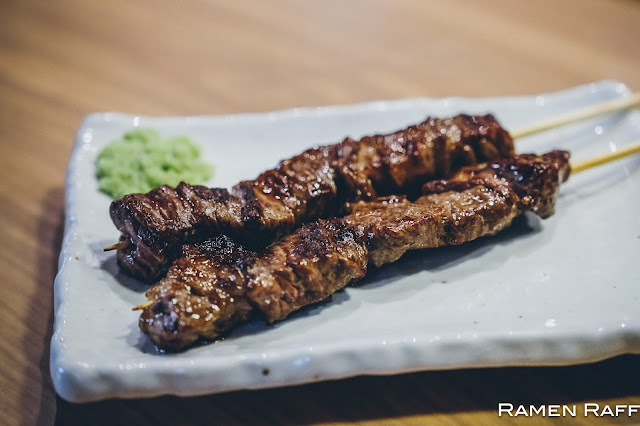 The wagyu loin skewer ($10 each) was extremely tasty, tender and buttery. It also comes with some freshly grated wasabi. 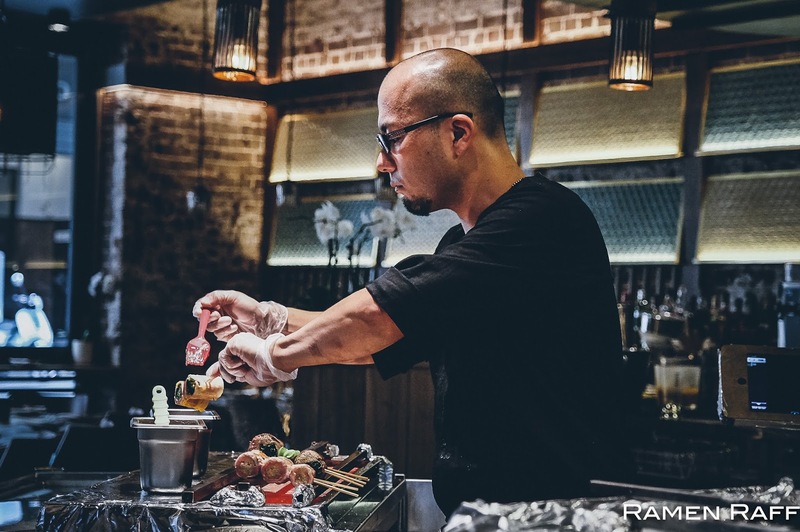 The sukiyaki wagyu skewer ($8.50 each) is another hit! 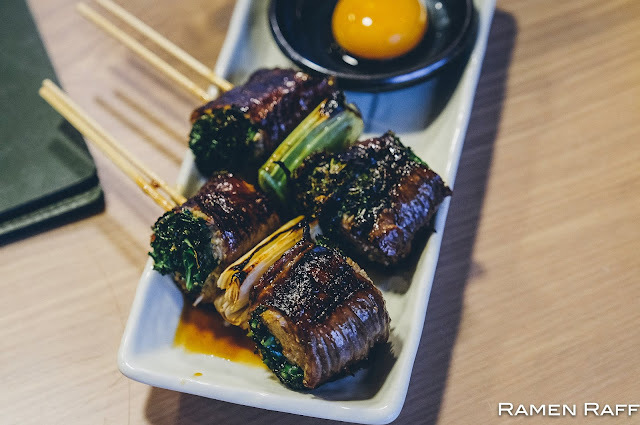 Crown daisy leaf & enoki mushrooms wrapped in tender Wagyu glazed with tare. 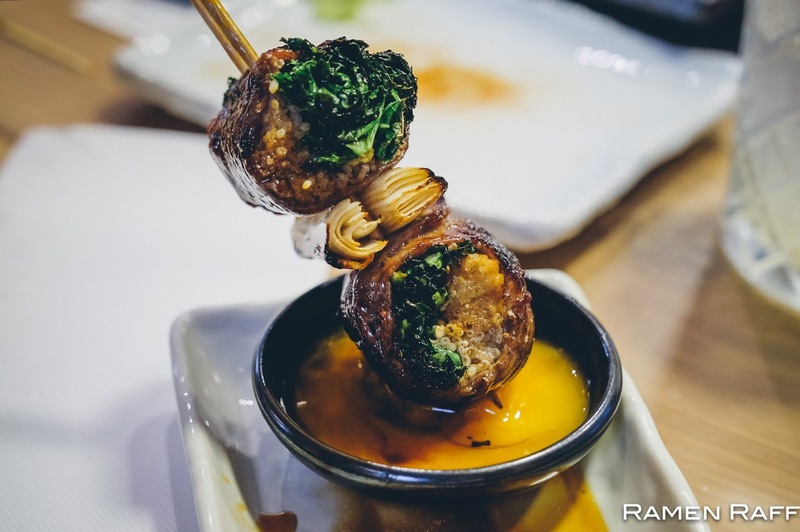 It also comes with egg yolk for dipping. 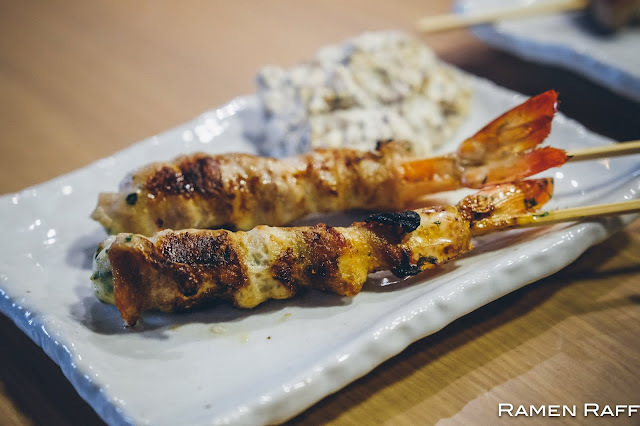 King prawns ($7.50 each) wrapped in thinly sliced pork belly. 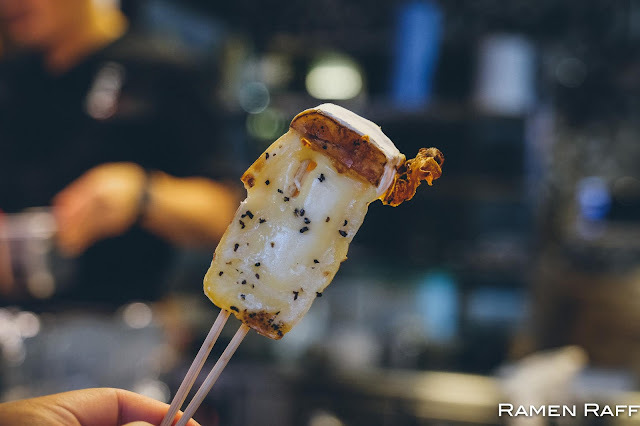 The buta bara ($5.50 each) is a pork belly skewer that is extra fatty and seasoned with shio. 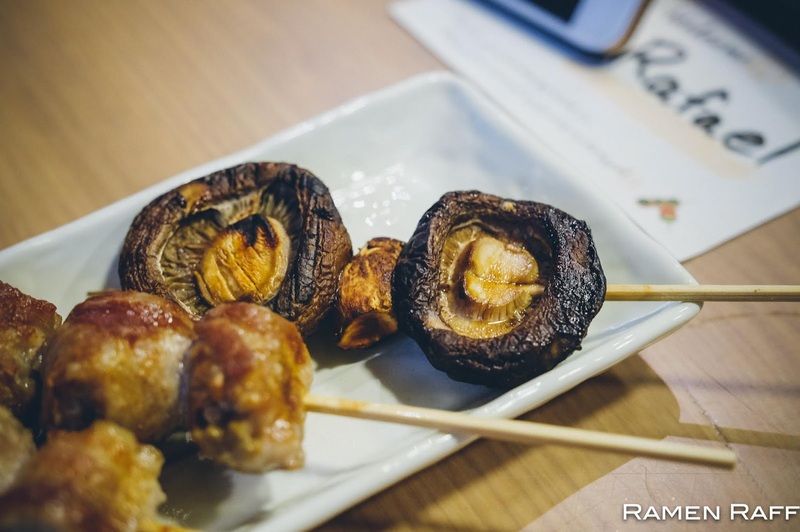 A bunch of juicy (with a slight crunch) enoki mushrooms & pork belly skewers ($6.50 each). The XL shiitake mushrooms ($6 each) are smoky and full of umami. 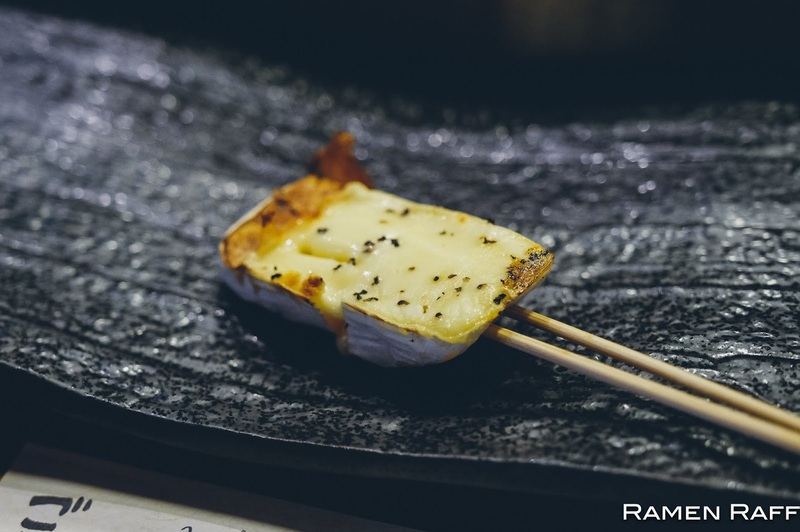 How can I say no to grilled camembert cheese ($5.50 each)! What do I love more than tsukune (grilled minced chicken skewers)? 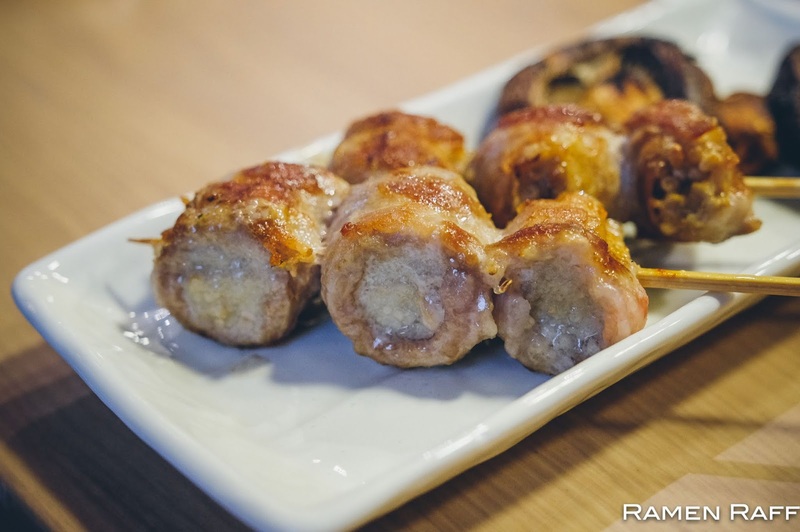 Grilled cheese tsukune ($8 each) of course! Then there’s the gorgonzola honey skewers ($6 each). 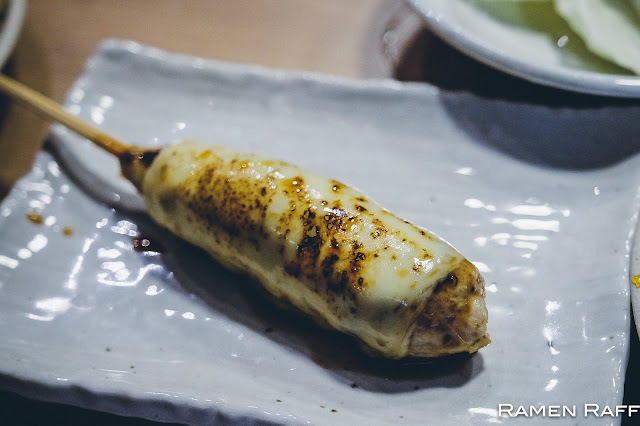 Pungent and delicious gorgonzola cheese wrapped in sweet & smoky flaky pastry glazed with honey. 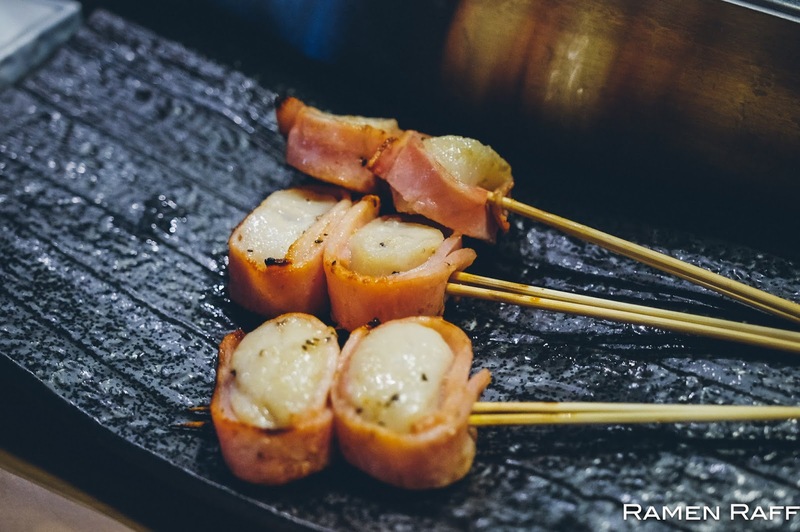 The scallop and bacon skewers ($7.50 each) were so addictive! 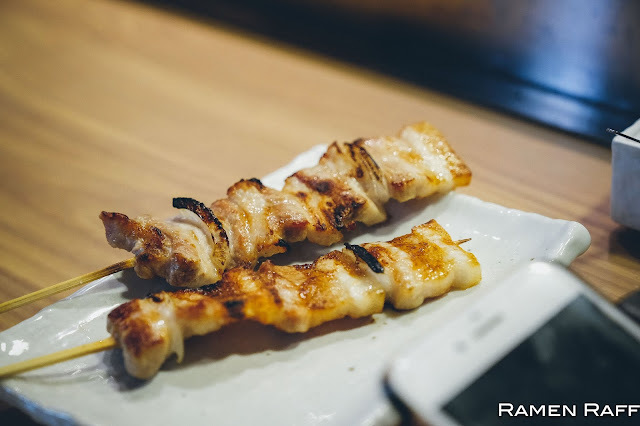 There’s a also a classic zuri or chicken giblet skewer ($5.50 each) that was smoky, sweet and tender. Last but not least is the fatty and delicious bonjiri ($5.50 each) or chicken tail. Love the umami packed caramelised bits at the edges of the fatty bits. Omedetou gozaimasu Goryon San on your first Sydney branch opening! Great to see Marui much closer to town! And the gorgonzola honey skewers sound super intriguing! Let me know what ya think, aight! Would love to hear from ya. Hi! 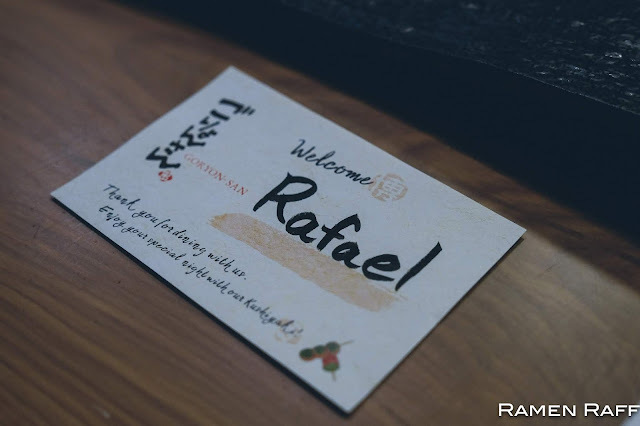 My name is Raff a.k.a Ramen Raff. 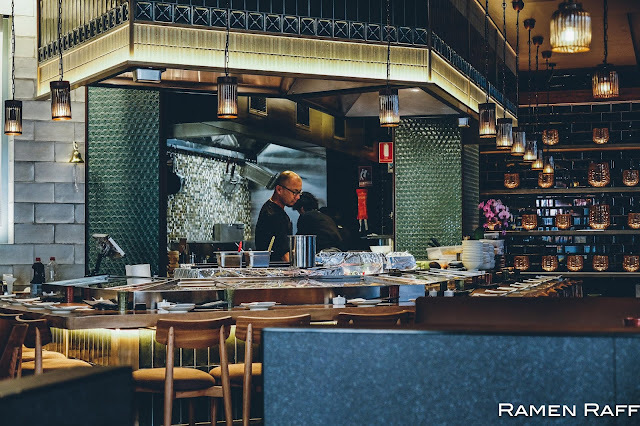 I'm a home cook, food blogger and expert food crawler from Sydney, Australia. I'm a ramen, cheeseburger, fried chicken, coffee, cheese and macaron lover. I also enjoy music, travel, sneakers, Japanese anime, and comicbooks. Ramen Raff. Powered by Blogger. I Don't Cry. I Eat. 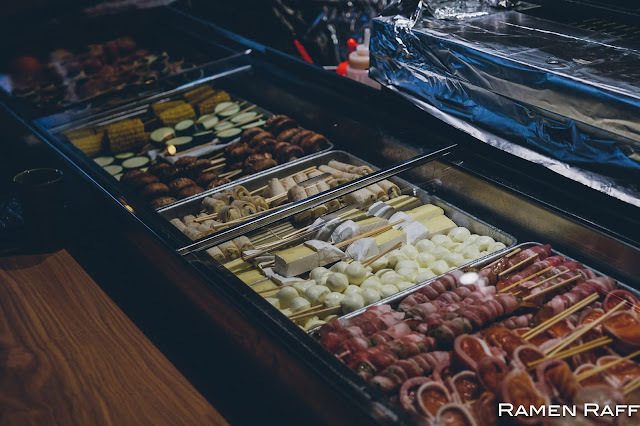 This is a personal food blog. All reviews and recommendation are of my personal preference/opinion, follow at your own risk. All data and information provided on this site is for informational purposes only.Taste is subjective and I will not be liable for any food experience gone wrong. 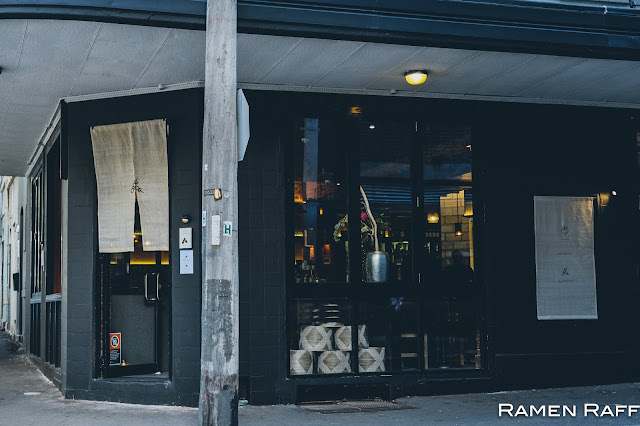 ramenraff.blogspot.com makes no representations as to accuracy, completeness, currentness, suitability, or validity of any information on this site and will not be liable for any errors, omissions, or delays in this information or any losses, injuries, or damages arising from its display or use.